Area Muslims collude with Al Shabaab militants. NAIROBI, Kenya (Morning Star News) – Al Shabaab militia over the weekend killed 13 non-Muslims, mostly Christians, in coastal Kenya, sources said. 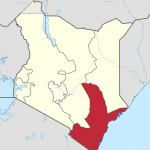 Village Muslims in the Pandanguo settlement of Lamu County helped Islamic extremists from the Somalia-based Al Shabaab identify locations where the Christians resided, a survivor of the attack told Morning Star News from a hospital in Mpeketoni. Several of the victims were beheaded. The assailants killed four non-Muslims in Kipini (sometimes called Kadundu) on Sunday (July 9), not far from the Boni forest, a reputed hiding place of Al Shabaab rebels battling the government in Somalia. Early Saturday morning in Jima they killed nine non-Muslims in attacks that began at around 11 p.m. the previous night, shooting some and hacking others to death with machetes, including beheadings, area sources said. Those who managed to flee and survived have had their crops damaged by wild animals and are still in great shock, the source added. “The government has now beefed up security in the area, and we hope the victims who fled will soon return back, but they need some trauma counseling first,” he said. Area Christians have now left their villages. “We are now residing at the police station in Hindi for fear of possible attacks,” one area resident told Morning Star News. Many area people are still missing or unaccounted for, and there are fears the casualty toll may increase. 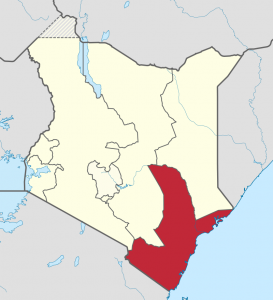 Two other sources in Lamu County said Christians in the coastal region of Kenya are in serious crisis as they face food shortages after fleeing their farms. Acting Interior Secretary Fred Matiang’i has imposed a three-month curfew in Lamu, Tana River, and Garissa counties in an effort to counter Al Shabaab’s attacks. The curfew began on Sunday (July 9) and is in effect until Oct. 9. Rebels from Al Shabaab, which is allied with Al Qaeda, have launched several attacks in northeast Kenya since Kenyan forces led an African coalition into Somalia against the rebels in October 2011 in response to terrorist attacks on tourists and others on Kenya’s coast. Attacks on non-Muslims on Kenya’s coast have also continued. Kenya ranked 18th on Christian support organization Open Doors’ 2017 World Watch List of the 50 countries where it is most difficult to be a Christian. I am one of kenyan Christians persecuted in kenya but now I live in safe county I Thank my Lord Jesus Christ saving my life.